ECU Joondalup SC Junior player development has been one of the most successful in Australian football, with numerous players coming through the clubs successful academy and going on to play professional football both overseas and here in Australia with no less than 10 of the current Perth Glory FC Hyundai A -League Squad learning their craft through our elite football academy program. But despite all this success the club is still striving to raise the bar as a leader in junior football development within Australia and therefore we are looking for new talent to bolster all our junior NPL teams (U12-U16) for the 2017 season. “After a successful retention and trialing process late last year, these new squad positions have opened up due to internal promotions, players leaving for overseas and some unfortunate long term injuries,” ECU Joondalup SC Technical Director Andy Petterson said. 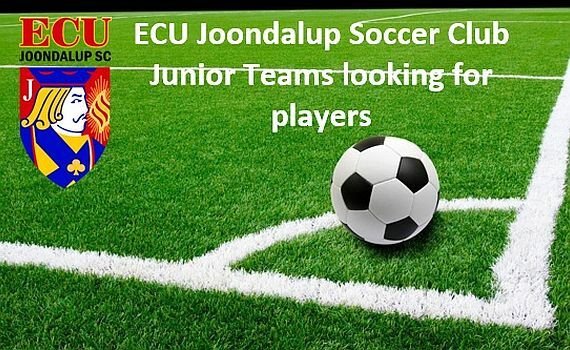 If you feel you have got what it take to be a part of the ECU Joondalup SC Junior academy (even if you were unsuccessful during the original trialing process) please contact TD – Andy Petterson either via email: ecujoondalupsc@hotmail.com or by phone: 0424639628 to arrange a trial asap.